The original version of the “Starfish Story” was written in 1978 by scholar and educator Loren Eisley. It has been told and re-told many times, and always includes a young person on a beach covered by—you guessed it—starfish. He or she is throwing the stranded creatures back into the ocean, one by one, to save them from dying from exposure. An older person comes along and asks the younger person why they are trying to save all the starfish. Can’t they see that there are more stranded starfish than any one person could ever rescue? Don’t they know that it is impossible to make a difference? Instead of becoming discouraged, the younger person looks at a single starfish and says, “It made a difference for that one,” thus displaying the wisdom of someone unjaded by time and experience. For Gayle, the parallels of saving starfish and children in foster care are one and the same. It would be easy to look at something like the child welfare system and feel like the problems are simply insurmountable. But if you look at a single child and focus on what that single child needs, making a difference doesn’t seem as impossible. 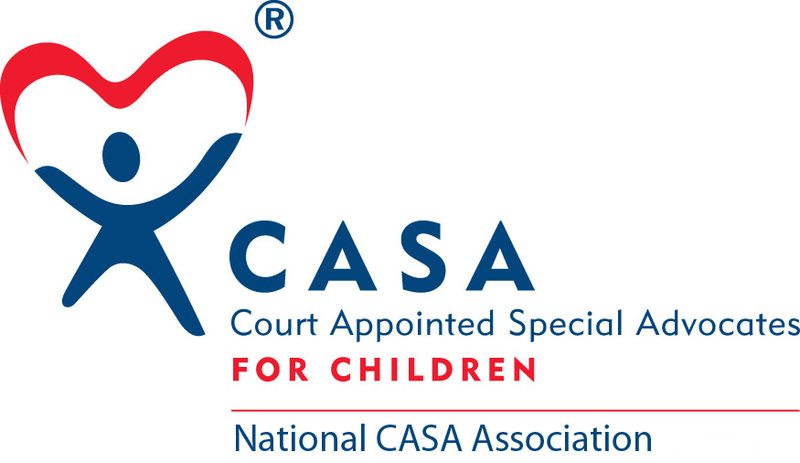 This is the outlook that Gayle has brought to her time as a CASA volunteer and the ten children she’s advocated for over the past six years. Prior to becoming a CASA volunteer, this mother and grandmother worked in real estate and then as Director of a career transition coaching team. In this role, her team offered search skills training and coaching to managers and executives who had just been laid off. For many of the people she worked with, this was a tremendously difficult and uncertain time. She credits this position as teaching her how to support the vulnerable, as well as showing her how strong the human spirit can be. Gayle also credits her persistence and relationship-building skills when she talks about the successes she’s seen as a CASA. In one case, she was serving as an advocate for a child with ADD and dyslexia. The child was struggling in school and nothing seemed to be helping. Gayle decided to do some research into different tutoring strategies, and learned about a very specific approach that just might make the difference for this child. The approach was highly specialized and therefore qualified tutors were few and far between. Nevertheless, she found someone local and coordinated with the schools and the Division of Child Protection and Permanency to make the tutoring happen. Gayle’s persistence is also evident when you consider that she moved to southern New Jersey last year, yet remains an active volunteer in Passaic County. While her new home is about 90 minutes away from Wayne, it is also just fifteen minutes from the shore, which she says is one of her favorite places to be now that she’s retired. Safe to say that when Gayle isn’t at the beach, there’s a good chance she’s driving up the turnpike to Passaic County, on her way to rescue another starfish.